Create your own betting system Sports betting system created by yourself. How To Create Your Own Betting System"
"Give me 7 minutes of your time to read my very special report (and watch my video) on how to Create Your Own betting system and I will give you my best advice, tips and tricks from my 7+ years of reviewing, creating and selling horse racing betting systems. When you register for this FREE special report "How to Create your own betting system" you'll discover secrets like..
4 of the most important things you should do before you even start creating your own betting system. The one thing that you must know before you start betting with your own system. How by creating your own betting system you can out smart other designers and make your own profitable systems. 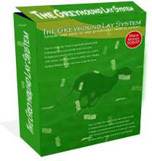 Learn the differences between creating a Lay, Back or place system. Find the difference between a system that is likely to make a profit and one which will just drain the money from your betting bank. Learn how to put your system on auto pilot so you don't even have to stick around to watch! "How to create your own betting systems". Just enter your email address in the box to your top right to get started. Learn: How to create winning systems like the Lay Betting System. Learn: How to test systems and what most people forget. Learn: What it takes to develop a winning betting system and what you should avoid . © Copyright Bluebell Data All Rights Reserved.